The hardest and major part of these is the appliqué, but if you can get past that you’re fine. 1. This is the bulk of the work to make your coaster: the appliqué. 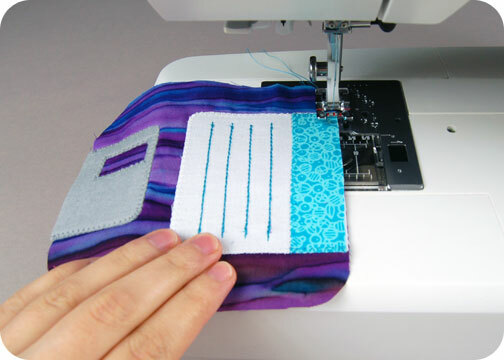 Apply your appliqué fabrics to your coaster front following the pattern guidelines. 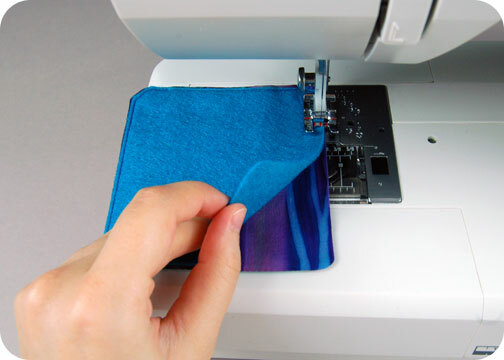 Iron them in place with light or heavy duty fusible web. I chose to sew them in place with a zigzag stitch. 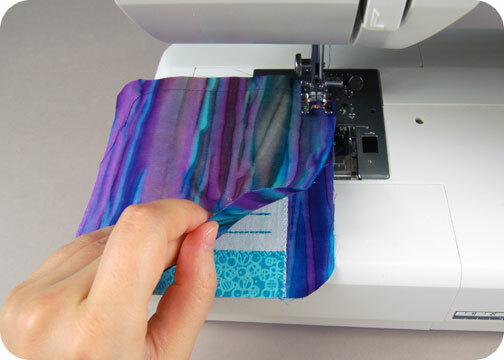 You’ll also want to do some straight stitches in contrasting thread along the stitch guidelines from the pattern to make the lines for your label. 2. With your appliqué complete, you can sew the remaining coaster piece on top with right sides together. Leave an opening in the side for turning the coaster right side out as the pattern indicates. Trim the seam allowances, turn the piece right side out, tuck the seam allowances back inside coaster, then press it flat. 3. All that’s left to do is add the backing! Layer your felt piece against the back of your coaster, and it should lay just inside the shape so felt doesn’t show much on the outside. Then edge stitch all the way around the coaster. This will affix your felt in place and also close up the opening on the side of your coaster at the same time. So what do you think? Do you have any old-school technology that you are nostalgic about? Let me know in the comments! This is hilarious! Too funny, I have to make some too. What a scream – though of course most of my team won’t have a clue what it is. 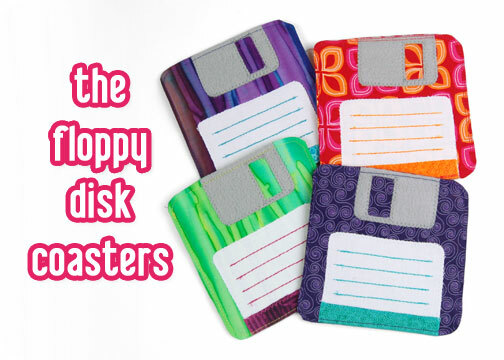 Remember the 5″ floppies? and the larger ones – I think they were 8″? Haha, thanks so much! I do remember the huge ones. I never actually had to use them, but I’ve seen them — reminds me of the poor laser disc that also went the way of the dinosaurs.